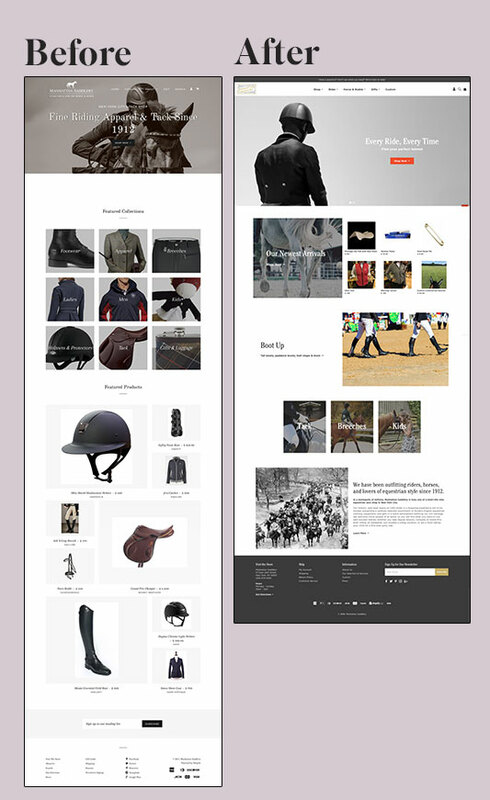 Manhattan Saddlery is an equestrian tack shop in New York City. 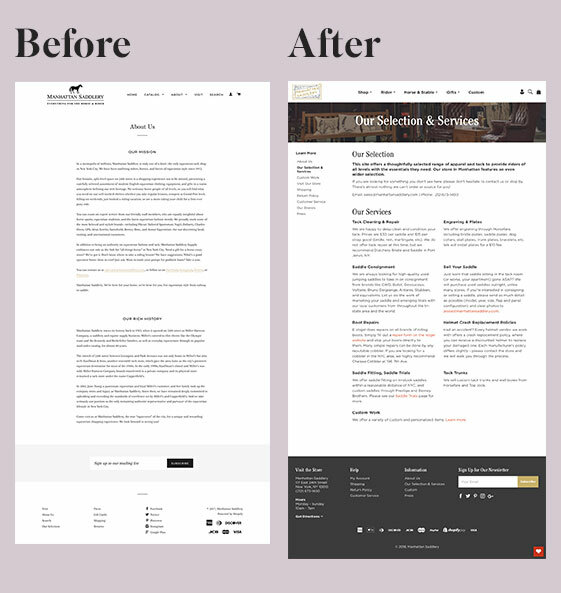 The online experience needed a refresh to match the new branding by Knockout! that emphasized its history and legacy, while still feeling modern enough to compete in the e-commerce landscape. Like many stores on Shopify, they faced a common problem. None of the available themes had all the features they needed, and the base themes felt generic. 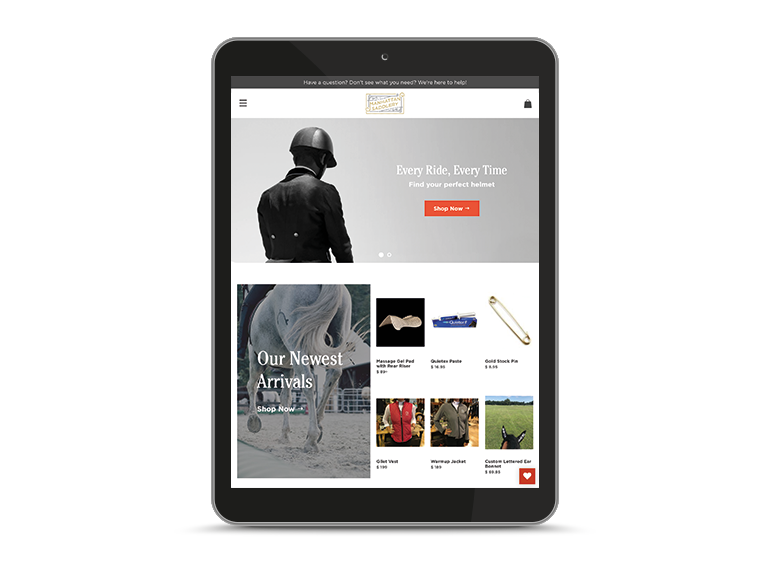 Their store also lacked cohesive navigation to guide customers through the store during the buyer journey. We implemented the following solutions. Updated the site design to reflect Knockout!’s fantastic new branding. The new store was designed following the new style guide. Built upon the original free theme “Brooklyn” to create a customized theme tailored to their unique needs. Redesigned the site’s main navigation to guide users through the varied inventory. We redesigned the site’s menu to include mega menus featuring subcategories. This helps users easily see what’s available in different areas of the store. Modified collection filters to reflect buyer habits. Filters were relocated to a new sidebar where customers can filter by style, color, size, brands, and more. By default, Brooklyn displays all the tags from all the products in a cloud at the top of the collection page. It’s not user-friendly and hard to read. 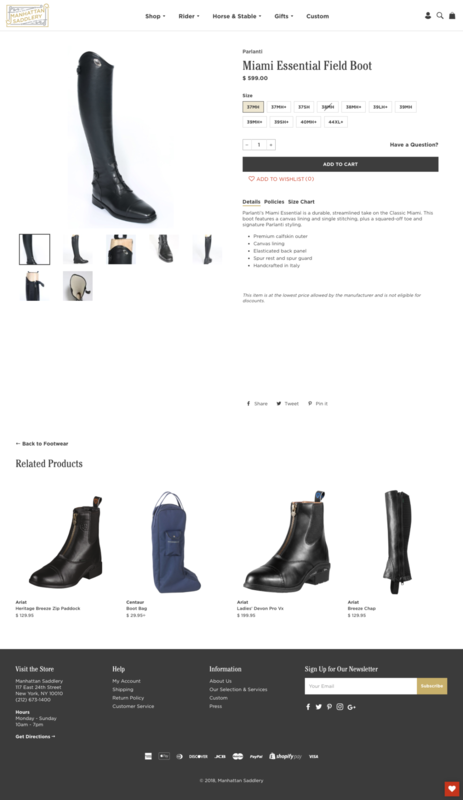 Improved product pages. 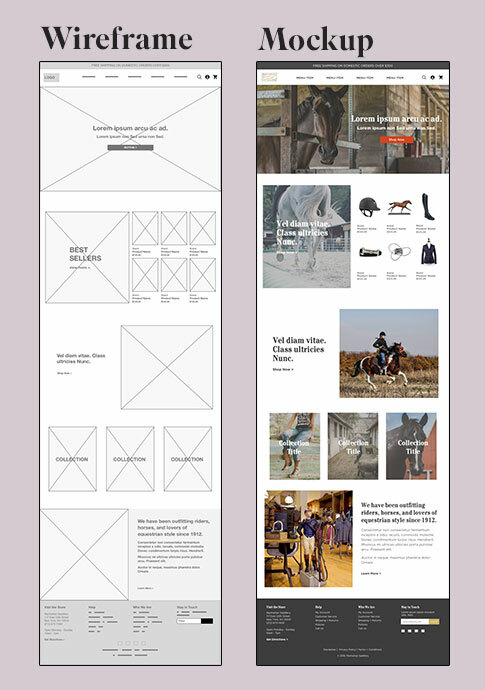 Sections were added for product overviews, sizing information, brand descriptions, policies, and more. This stops shoppers from needing to leave the page to find answers to their questions. Installed the Product Options by Bold app and set it up to match the styling of the new theme.